The biggest roadblock in the future success of the highly successful series of the Call of Duty series is that its rhythm became familiar long ago. Trenches and Nazis formed the framework for the first games and, while you could never call them bad, they suffered from diminishing returns. Fans who were tired of fighting the same war for ever cried out for change — what they received was Call of Duty 4: Modem Warfare and, for a while, it was enough. Years have passed since then, though, and while it's still hard to point at Call of Duty and label it as being no fun, it's equally hard to find a reason to extol its virtues. Activision has grown transparent in its lack of ambition and Call of Duty has become boring again as a result — this latest iteration offers too-familiar motifs respun in an aging engine for die-hard but clearly fatigued fans. Even the controversies feel rehashed; a spectator level in which you see a child killed in a London bombing feels like a tired attempt to recapture the buzz of Modern Warfare 2's No Russian level. The storyline for the campaign continues shortly after the events of Modern Warfare 2, with Captain Price desperate to claim vengeance on Russian terrorist Makarov while the rest of the world fights World War III. In traditional Call of Duty style, you alternate between each battlefield, playing in a series of linear stealth missions and turret sequences across the globe. There's no deep characterization to set Modern Warfare 3 apart from previous games in the series, and no set-pieces with the punch of the AC-130 mission. The situation improves only slightly in the multiplayer, where another litter of tweaks and changes have been spread over Modern Warfare 3. Some of these are for the better, such as how the Kill-streak system now forces players to choose between set roles — Assault, Support or Specialist. The Assault class functions much the same as usual, with offensive rewards offered to those who score consecutive kills without dying. The Support class's Kill-streak, however, won't reset upon death, but only yields defensive abilities, while Specialists earn personal perks. Other changes confusingly move the series backwards, such as the loss of dedicated ranked servers - for every step forwards, Modem Warfare 3 takes a step backwards. It isn't all bad news though. 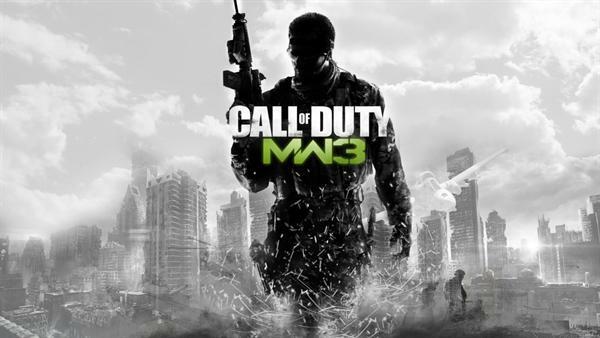 The sameness of Modern Warfare3 means that it retains its core charm as a fast- paced online shooter and the positive reinforcement loop bought on by constant unlocks means that the action is as addictive as ever. It isn't enough to make Modern Warfare 3worth the asking price, however, as it fundamentally fails to improve over its peers and predecessors. While Modern Warfare3 hasn't become any worse, it's been standing still so long that the competition has overtaken it. Activision's yearly franchise has been drawn out so long that it now feels like a franchise of yesteryear. •	In the series we can see some of the best campaign set pieces. •	A great plus of this game are its survival mode and co-op. •	Well designed Multiplayer changes. •	New game modes in this series work well. •	The campaign of the last two levels is weak. •	Your own skill level determines the impact of Point streaks and strike packages. •	It is much of the same as the previous versions.